As America’s first fashion magazine published in 1867, Harper’s Bazaar USA has a rich and vibrant history of inspiring and entertaining women in world of high fashion, beauty, celebrity news, and everything else related to fashion and style. Buy a single copy or subscription to Harper's Bazaar USA magazine. 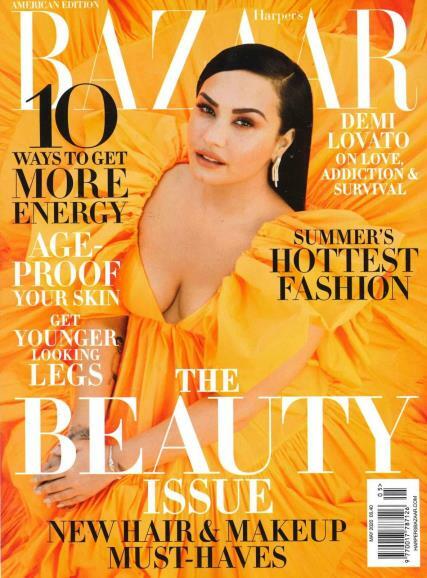 Known by many to finely blend the world’s most captivating and inspiring fashion with an equal amount of intelligence, confidence, and eloquence, Harper’s Bazaar USA is the women’s fashion bible by giving its readers all they would ever need to know about the happenings within the fashion world. Additionally, this monthly glossy magazine gives women an insider look into what is new in the world of fashion and what is going to be popular next, and therefore its faithful readers can stay on top of the fashion society and proudly show off their fashion finesse to the world. By focusing strictly on fashion and the fine tastes of today’s modern woman, Harper’s Bazaar USA gives each and every page the flavor of style, authority, and inspiration, all of which is passionately aimed at the fashion-minded woman. Amazing magazine and excellent service! I'll buy magazines from this site again and again :) thank you!